"At the invitation of Prof. Susan Gerofsky, I visited The University of British Columbia (UBC) as artist-in-residence for a week during January 2007. 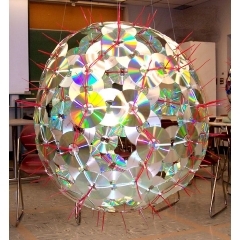 The agreed-upon project was for me to develop a mathematical sculpture that can be replicated in classrooms. I worked with Susan, student teachers in UBC’s education program, and visiting students from Vancouver-area schools to test the ideas and write up a lesson plan." "Piccolo is a low-cost kitset device that uses servos to create a mechanism for tinkering with or developing for basic 2D or 3D CNC output. Applications range from simple drawings, generative designs and data visualations, to small scale laser cutting or 3d printing, depending on the tool head used. 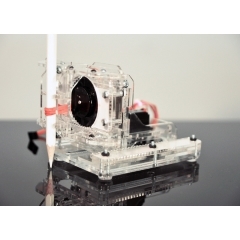 Piccolo’s small size, low power and low cost makes it easy to use in almost any environment and in multiples." "The Music,Math,Art and Science Electronic Book contains 4 pages that treat subjects like Music, Maths, Arts and Science and I thought it to be an inspiring introduction to the first year of Primary School that my niece will start this September. 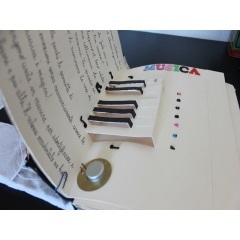 The book contains movable parts and uses the electrical capacitance of the human body to activate sounds and lights and other sensors." 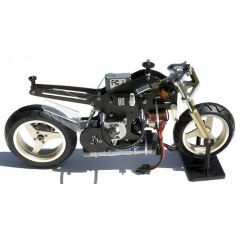 "This was my first attempt at making a rc bike chassis using carbon fibre was for a Thunder Tiger Electric RC motorbike. The original frame panels were scanned and then traced in Adobe Illustrator. I then modified the layout of the panels to reduce weight and then exported them for cutting on our milling machine." "This year at the Seattle and Portland Mini Maker Faires I did a presentation on getting started with designing your own PCB using KiCAD. 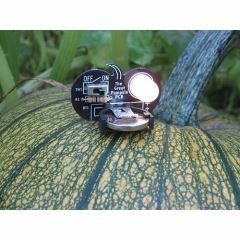 In this presentation as an example I created a pumpkin shaped PCB with a candle like flickering LED." 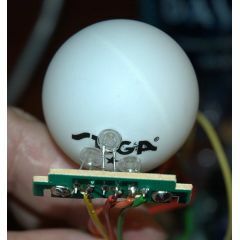 "I did some more scrounging to create a mini Locnar using the LEDs from a Glade Light Show air freshener. The wall wart had previously been scrounged from this air freshener for the bread board power supply. 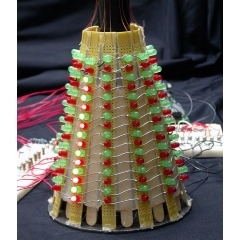 Now we reuse part of the circuit board with the LEDs combined with what we learned in the Ping Pong Ball diffuser project to create a color changing orb." 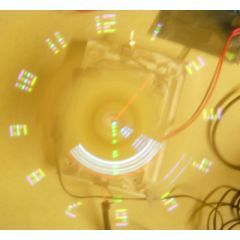 "…I decided to give my Raspberry Pi something interesting and colourful to do – light painting. A happy day of geeking saw my brother and I pull together a wireless remote-controlled, battery-powered, Raspberry Pi light painting robot. It’s not perfect, but we think the initial results are pretty good for a day’s work and I thought I’d share some notes and photos in case anyone else is interested." 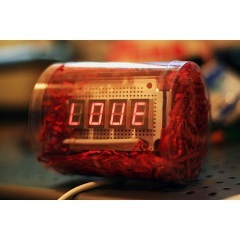 "I wanted to make a simple circuit for my lover, so I came up with using four 7-segment LEDs to make the word “LOVE” for her….List of materials: Four 7-segment LEDs, Resistors, A wooden prototype board, USB cable cord, Solder iron, Paper Clip, A plastic box, Red papers." "While many POV projects have been designed before, they tend to be very static. Often they only display one image or animation and usually have no interactivity. We set out to make a very modular multipurpose design. 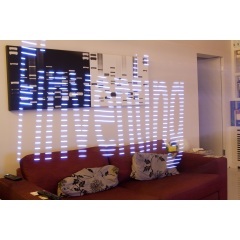 Our original goal was to make two different LED arrays, a 2D version with RGB LEDs and a 3D version that uses monochrome LEDs."